China is building four of these destroyers, the first of which was shown off this morning at the Shanghai port. 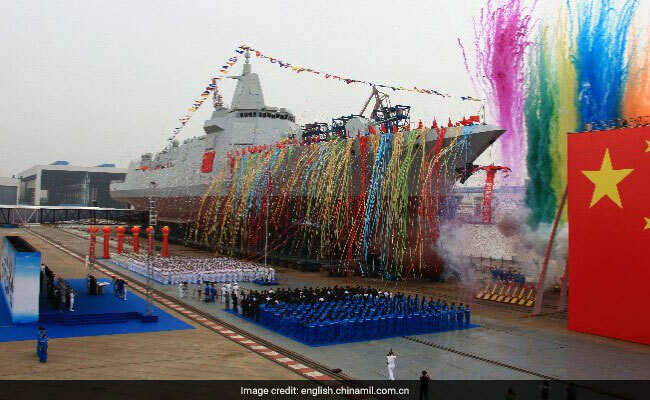 China today launched its most powerful naval destroyer, the Type 055, which is among the largest warships in the world. Weighing in when fully armed at more than 12,000 tonnes, the colossal Type 055 is considerably larger and more powerful than India's latest Project- 15B "Visakhapatnam" class destroyers which have still not been commissioned. India's latest destroyers will displace close to 8,200 tonnes when completely armed and are designed to carry a mix of nearly 50 surface-to-air, anti-ship and land attack missiles. In contrast, China's giant cruiser will combine nearly 120 missiles, making it one of the most heavily-armed ships in the world. Since March 2014, China has commissioned five Type 52D destroyers thought to be similar in capability to India's `Visakhapatnam' class warships mentioned above. Worryingly for India, which has planned seven of these warships, China plans a fleet of at least 18 ships of this class. Earlier this year, China launched its first indigenous aircraft carrier, construction of which started in November 2013. India's own homegrown aircraft carrier, the Vikrant (named after India's first aircraft carrier), in development since 2009, she sailed out for the first time in 2011, but is unlikely to be completed before 2023 according to a report last year of the national auditor. China is presently locked in a war of words with the United States over its presence on artificially-created islands in the disputed waters of the South China Sea. 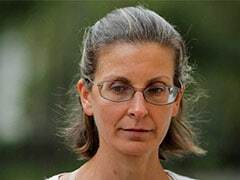 India is an important maritime ally of the United States and shares deep concerns on the expansion of the Chinese Navy, particularly in the Indian Ocean. In the last five years, China has constantly deployed submarines (including nuclear submarines), warships and support vessels in the Indian Ocean.